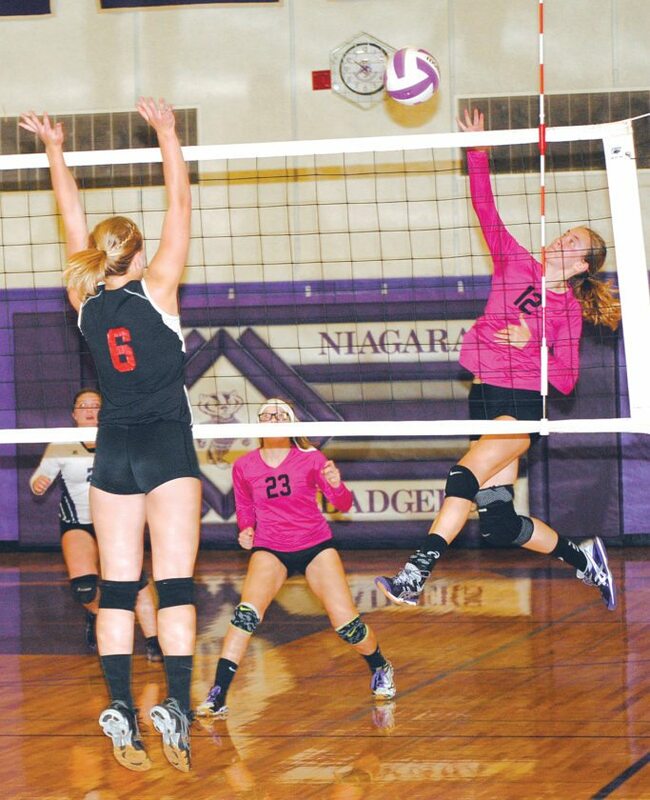 NIAGARA, Wis. — Niagara may have secured another home match Tuesday by beating Gillett 3-1 in M&O Conference volleyball. The Badgers (9-14-3, 7-6) played their final regular season home match Tuesday, outlasting the Tigers 25-20, 21-25, 28-26, 25-23. But the win also enhanced Niagara’s WIAA Division 4 tournament seeding prospects and the likelihood of playing a first-round home match. 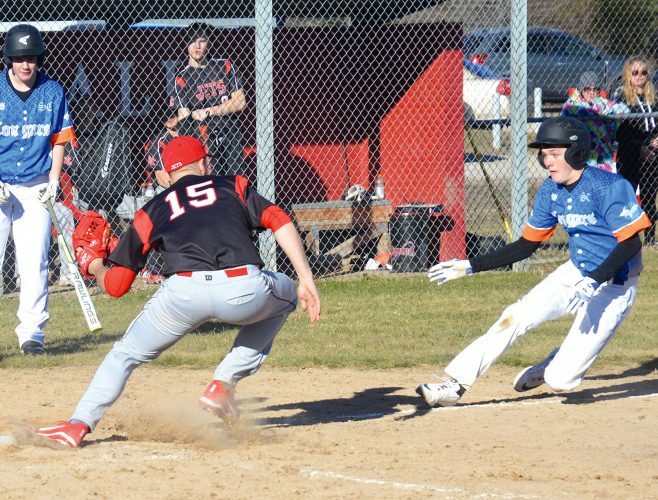 With records needing to be submitted to the WIAA by this Friday and Niagara winding up the regular season next Thursday at Gillett, Tuesday’s win puts the Badgers over the Tigers in the 16-team regional. Niagara had to work for this one, trailing late in all four sets Tuesday. Gillett was ahead 17-16 in the first set when senior Allison Wells provided a spark with an ace serve and kill. Freshman Alyssa Ivey and sophomore Cassie Gill added kills down the stretch. Niagara fought back from a 20-10 deficit in the second set. Two net-scraping aces from Jasmine Racine, a kill from Wells and an Addelynn Amundson ace made the score 23-20. But the Tigers closed the set with one of Grace Wickman’s six kills and the Badgers sent the ball out on final point. In the third set, Niagara came back from 21-18 down. After Gillett pulled ahead 26-25, a kill and fine save from Ivey put the Badgers on top. A Gillett miscue ended the set. Gillett held a 20-19 lead in the fourth set. A Racine kill sent Niagara to a 23-22 lead. After a Karissa Schaal kill tied the set, two Gillett miscues ended the match. “For a while there in that game four, they were getting the passes up but we couldn’t get anyone to put the ball down on the front line,” St. Arnauld said. Racine’s nine kills, Abi McCarthy’s 15 assists and Faith Borchardt’s 15 digs led the Badgers. “Our serving was much better in games three and four,” said St. Arnauld, her Badgers firing nine aces on the night with a team-high three from Racine. Gillett’s Faith Sorlie had a match-high 15 kills. Niagara enters the final week of the regular season Tuesday at Lena.